Married to a heroin addict. I am a young mom with kids, and the wife of a heroin addict. I met my husband 6 1/2 years ago, I fell so deeply in love with him in every way. In the beginning I thought he was on Vicodin and other pills he was taking more amounts then anyone he knew. HE wanted so bad to get off the stuff and have a family with me. I knew it was going to be tough for him, I told him I would help him through it and be there for him forever through his addiction. WE got pregnant about 9 months into our relationship, and the both of us were very excited and happy. We moved in a house together 2 months after finding out we were going to have a baby. After moving in together, I started to see things like that he was always in and out. I started finding needles and other things. WE have been fighting this battle for the past 6 1/2 years he tried rehab, has gone to jail, has lied about being with other girls. A little over a year ago he was selling some girl he was hanging out with to get money for his addiction. He was getting sentenced for jail and I moved in with my parents while he went to his grandma's house. I wanted him to stay at his grandma's for about a month, or a month and a half b4 he went to jail. I did not want him using at my parents house, and it would be a clean start for him after he got out of jail. He had some harsh feelings about that situation said I just left him. BUT he got out of jail and moved in my parents house with me and our kids, I was happy and thought this is finally gonna work. BUT he started using again so I was researching rehabs and different things we could do. We finally got him clean, he was clean for about 2-3 months and my parents kicked him out because he would not pay them rent and was still coming and going all day. Everything went downhill from there were still married but while he was kicked out and we were living separately, he had a girlfriend. That's the part I can't get over. I still love him, and am so lost and confused! Comments for Married to a heroin addict. Yours is a tragic story of the awful effects of heroin on families. Please consider going to AL-anon family meetings to learn how to cope with this huge loss. 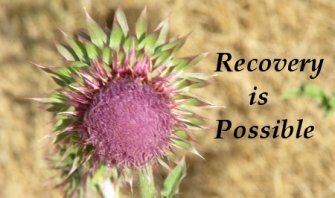 Al-anon was created to help families of addicts to learn how to move forward and to accept the situation as it is or change it if possible.